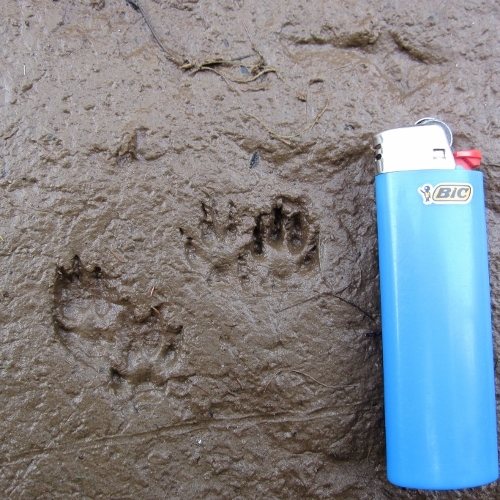 The characteristic pattern of the hind feet coming down on the fore feet prints is evident. For scale, the lighter is about 7 cm long. This print was found on a track across scrub on the edge of some regenerating podocarp hardwood forest, near Turangi.